Download the Pizzamoji sticker pack. Your messages are about the get a lot more CHEESY! Step 1: Open an iMessage conversation with a friend. Click on the “App Store” button to the left of the text box. Step 2: Tap the button with four circles in the bottom left corner. Select the “+” button and turn on Pizzamoji. 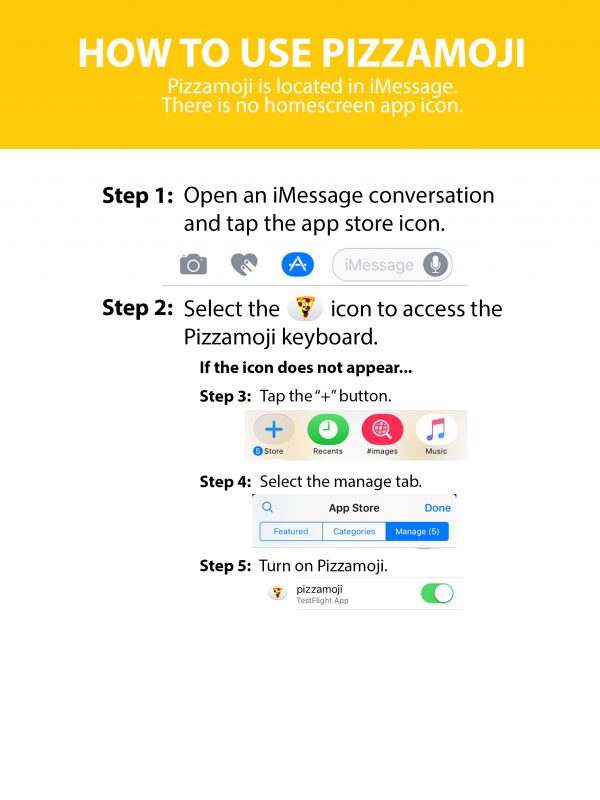 Step 3: Select the Pizzamoji app and start sending pizza to your friends. Drag and drop the stickers into your conversations.